Evincing what a worm can do. When Venice rose in reefs of palaces. Venice began to rise from the waters thanks to the intrepid men who, fleeing from the barbarian invaders, abandoned their homes on the mainland and took refuge in the scattered islands of the Lagoon. What about discovering some of the Venetian gems ? Did you already heard about the Galleria Giorgio Franchetti - Ca' d'Oro? The Ca' d'Oro, an ancient patrician residence of the fifteen century, gethers the art collection which Baron Giorgio Franchetti who bought the building in 1894 gave the state. In this house decorated with a Venetian Gothic style through fascinating architectonical glimpses it is possible to admire painting of the Venetian school among which the famous San Sebastiano by Andrea Mantegna, works of the Tuscan and Flemish school, wonderful bronze statues and Renaissance statues as well. The mosaics are really stunning as well as the internal Corte, including an amazing view of the Grand Canal. Book your Free Walk in Venice tour ! The Jews of Venice were only permitted to practise three professions in the past. They were not allowed to own land or property and could not become craftsmen, professionals or business owners. Initially, the only activity open to them was money lending. An exception was later made for the mercantile Levantine Jews who were granted permission to trade. Eventually, the Ghetto's inhabitants were also allowed to become doctors and to sell second - hand clothes. Do you want to known more ? Join our Magnificent northern side of venice and the Jewish ghetto Walk ! Yesterday we had the incredible opportunity to join the inauguration of the restorayion of Jacopo Tintoretto's Wedding Feast at Cana. This charming painting has returned to its place high on the wall in the sacristy of the church of the Salute! Jacopo Tintorettoâ€™s Wedding Feast at Cana is a painting of substantial size (14.4 ft x 19.3 ft) and now hangs high on the wall of the sacristy in the church of Santa Maria della Salute in Venice. Originally painted for the refectory of the convent of the Crociferi, the canvas was transferred to the Salute following the suppression of the religious order in the seventeenth century. So interesting listeting to Don Fabrizio Favaro of the Salute, Alberto Nardi from the Board of Directors of Save Venice, Amalia Basso from the Superintendency of Fine Arts and Monuments of Venice, and conservator Valentina Piovan and their presentations during the inauguration. This restoration was made possible thanks to the generous support of Save Venice Chairman Emeritus Dr. Randolph H. Guthrie, and his wife, Save Venice Board Member Beatrice H. Guthrie. Thank you Save Venice to taking care of our Heritage! Follow Free Walk in Venice tours for discovering more about Venice! 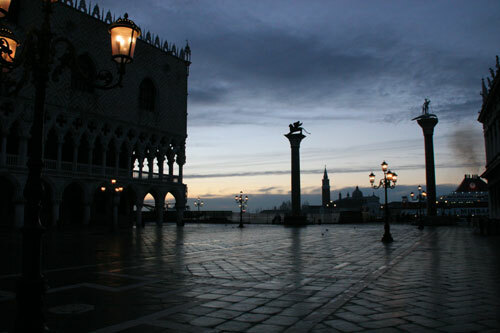 Free Walk in Venice tours presents "Othello in Venice"
The history of Othello is very original. In 1505 Cristoforo Moro, a Venetian patrician, went to Cyprus as a lieutenant. Three years later, he became a captain, and came back to Venice but during the trip his wife died. These historical data originated the legend of a Moor, called Othello, who married Desdemona, a Venetian patrician. He went as a commander to Cyprus where overpowered by jealousy he killed his wife. In 1565 G.B. Giraldi Cinthio took his legend as a starting point for one of the novellas of the Hecatommithi. Finally the legend was made immortal by Shakespeare. The Shakespearean tragedy was written between 1601 and 1694 and was staged for the first time in November 1604. Only the first act of Othello is set in Venice and even in this case Shakespeare underlines only the most famous elements of the city. A detail of the first scene of the first act is curious when Roderigo and Iago are near Desdemona's house. Tradition claims that Desdemona's father house is Contarini Fasan palace is st. Maria Zobenigo. The small building was built in gothic style. 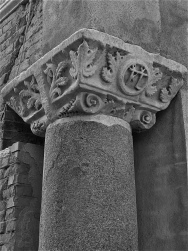 The date in which it was constructed unknown but is believed to be between 1470 and 1480 as it was represented in 1500 by Jacopo de' Barbari. The fascinating residence rises out of the water on one side of the Canal Grande (just in front of the Basilica della Salute) and on the other side it is hidden in a side street of calle XXII marzo. The horses you can see on the pic are the copy created in 1982, the original are inside the beautiful Sain Mark museum. The original four horses at St. Mark’s Basilica, Venice, can only be described with one word: beauty. They are called the bronze horses, but they are actually pure copper. If you have the opportunity to stare at them long enough, they almost seem real. The two horses pictured above are looking at each other like they are sharing a secret, and we are left in the dark. It’s a miracle of history, time, and circumstance that these horses exist today. We are able to stand and admire their craftsmanship because of a long history of looting, theft, and historic preservation. Do you want when have they been created? It seems they may have been created by a very famous sculptor, Lyssippos, in the fourth century BCE. However, we must tell you that recent studies suggest that the horses have a Roman and not greek origin. If the antiquity of the horses is not enough to produce a feeling of awe, then the story of how they made their way from Constantinople to Venice will surely amaze. From at least the ninth century CE, and possibly much earlier, the horses stood on top of the Hippodrome in Constantinople. In 1204 CE, Constantinople was totally sacked by Crusaders, and many of the treasures, including the four horses, were shipped to western Europe. This is part of the history. From 1204 CE, these four beautiful horses grace the terrace at St. Mark’s Basilica. In 1797 CE, Napoleon and the French troop decided that he wanted horses and carried them off to Paris (and not only them). They were returned to Venice a short time later in 1815 CE. There they stood on the terrace until the 1980s, when they were moved inside to save them from pollution. Today on the terrace you can view the replicas, but the real treasure is located inside. The horses stand guard just inside the entrance and look like they are in motion, prancing towards the visitors to greet them. There they will stand for future generations to admire their beauty and realism. Photography is not allowed and the cost of the ticket is 5 euro, totally worth it! The Jewish Ghetto, the world's oldest, remains intact and is still marked by dark porticoes, peeling paint, laundry hung out to dry, and windows placed so close above one another that you're back aches just thinking about the low ceiling. Until the 14th century, Jews were allowed to come to Venice for money-lending activities, but were not allowed permanent residents permits. The first Jews were allowed to settle in Venice only in 1385, when the city was involved in a war against neighbouring Chioggia and needed loans from the Jewish money-lenders. But racism persisted, and in 1516 Venice's ruling council confined all the Jews in a smallen getti, or foundries. The gates were locked at night, and restrictions were placed on Jewish economic activities. Jews were only allowed to operate pawn shops and lend money, trade in textiles, and practice medicine. They were allowed to area not far from today's train station, where there had be leave the Ghetto during the day, but were marked as Jews: Men wore a yellow circle stitched on the left shoulder of their cloaks or jackets, while women wore a yellow scarf. Later on, the men's circle became a yellow beret and still later a red one. The first Jews to settle in the Ghetto were the central European Ashkenazim. They built two Synagogues. the Scola Grande Tedesca in 1528-29 and the Scola Canton in 1531-32. They are on the top floors of adjacent buildings, above the Jewish museum and from the outside, are not easily distinguishable from the apartments around them. Space was limited, and according to Jewish law it is forbidden to have any thing between the Synagogue and the sky - hence their strange attic location. The canton Synagogue was probably added to house the large number of Jews already in the Ghetto. Next came the Levantine Jews, who practiced the Sepharadic rite. When they got their own neighbourhood, an extension of the Venetian Ghetto granted in 1541, they were wealthy enough to build a Synagogue on the ground, rather than in cramped top floor apartments. The rich red and gold interior of the Levantine Synagogue is particularly beautiful. If you're their in the summer and get to see it. note the intricately carved wooden bimah , or pulpit, and the carved wooden decorations on the ceiling. Mixed in with the poorer Ashkenazim were Italian Jews who had migrated north to Venice from central and southern Italy. In 1575, they built their own Synagogue on top of some apartments in the same square as the German shul. The Scola Italiana has a cupola, barely visible from the square outside, and a portico with columns marking it's entrance. Inside, there's another exquisitely carved wooden ark of the covenant, housing the Torah. Levatines and Ashkenazim, Italian and Spanish Jews all lived together in the Ghetto through hard times - including the plague of 1630 - and better times, until Napoleon threw open the gates in 1797 and recognized equal rights to the Jews of Venice. At its height, around 1650, the Ghetto housed about 4,000 people in a space roughly equivalent to 2-1/2 city blocks. Before World War II there were still about 1,300 Jews in the Ghetto, but 289 were deported by the Nazis and only seven returned. Campo San Polo. A quiet and elegant campo of our Venice! Free Walk in Venice, free tours. This is one of our meeting points: Campo San Polo. Quiet, elegant and simple, the biggest campo (not square!) of your beloved Venice. Redbenches make the campo a perfect places for relax, in each season of the year! Free Walk in Venice tours loves the sestier de Cannaregio! As well as the Sestiere of Castello it is the largest and most populated "sestier" of Venice, it takes the whole northern part of the city, it is delimited by the Lagoon, the Grand Canal and the Castello and San Marco (Saint Mark) Sestiere. The Cannaregio canal is the most important water way of the quarter right after the Grand Canal and it is the only inner canal crossed by the ACTV (public transport company) boat, our vaporetti. Cannaregio is linked to the mainland by a bridge, it is the long railroad bridge from the Santa Lucia Train station to the mainland, the bridge of the Liberty (about 3 850 m) once called ponte Littorio. The cannaregio name comes probably by the fact that here there where many reed thicket. This appear also on a book date 1410. This is a popular quarter of Venice, well know for the presence of the Jewish getto (the oldest in Europe). The majority of the artworks in this part of the city can be admired inside churches. It's an area full of our Bacari, typical places for eating and drinking in Venice! Do you want discover more? Join us! Don't miss our real hidden Venice, book your Venice free tour on www.freewalkinvenicetours.com and follow us on FB and INSTAGRAM ! and add your like to our page! Il blog dei nostri Venice free tours. La Serenissiam è stata definita la miglior forma di Repubblica esistente, + anche vero che la giustizia qui a Venezia era molto severa, anche se dava,(specialmente dopo l’episodio del famoso fornaretto) garanzie precise per quanto poteva riguardare la difesa degli accusati di crimini. Ma crimini efferati ve ne furono, e proprio nella natura stessa della Repubblica questi dovevano essere immediatamente puniti con precisa e mirata violenza, per dare al popolo la sicurezza e il monito che chiunque si macchiasse di cruenti crimini veniva puntualmente punito, dando soddisfazione alle vittime o ai loro parenti, ma , in egual modo, far presente che la lunga mano della quarantia criminal sarebbe stata presente, e la punizione inesorabile e terribile. L’esecuzione dei condannati a morte avveniva sempre tra le colonne di Marco e Todaro a S. Marco, ma prima, perchè l’impatto “educativo” fosse ancor più efficace, il colpevole doveva subire determinati, terribili torture. Una delle tappe più drammatiche avveniva, dopo il trasporto in una gondola sul canal grande dalle prigioni venivano portati a S. Croce, presso una colonna unica rimasta di un Monastero che aveva sede alla Giudecca e che venne smantellato, e che venne quindi incastrata tra la Fondamenta della Croce e la Fondamenta del Monastero. Qui venivano loro mozzate le mani che venivano poi legate al collo, quindi il condannato veniva portato presso il luogo dell’esecuzione, e qui, finalmente veniva posta fine alla sua vita, con lo sguardo rivolto all’orologio della torre, giusto per far capire loro che quella era l’ora della loro morte. Si ricorda difatti il detto "Te fasso veder mi, che ora che xe"! Sicuramente fortemente cruento e drammatico, ma questo era ritenuto un modo per rendere la giustizia più giusta (all’epoca) e allo stesso tempo dare un insegnamento ai veneziani del peso della legge! Da non dimenticare! Free Walk in Venice tour ! Venice is a small, pedestrian-friendly city (remember, we don't have cars and it's forbidden ride a bike - for adults). If you're willing to walk or if you decide to buy a 12-24 or 48 hours vaporetto pass, you can easily get around on your own. The 74th Venice International Film Festival, organized by La Biennale di Venezia, will run at Venice Lido from August 30th to September 9th, 2017, directed by Alberto Barbera. The Festival is officially recognised by the FIAPF (International Federation of Film Producers Association). The Venice Biennale has been for over 120 years one of the most prestigious cultural institutions in the world. 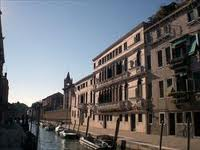 Established in 1895, the Biennale has an attendance today of over 500,000 visitors at the Art Exhibition. The history of the La Biennale di Venezia dates back from 1895, when the first International Art Exhibition was organized. In the 1930s new festivals were born: Music, Cinema, and Theatre (the Venice Film Festival in 1932 was the first film festival in history). In 1980 the first International Architecture Exhibition took place, and in 1999 Dance made its debut at La Biennale.